Facebook has become an addiction for many but surely it has its own advantages. Its the most popular social networking platform for staying connected with your friends and share seamless information with each other. Still, as per reports, as many as 10 percents of Facebook's accounts are fake. Many of you may have come across a situation of adding many friends at once and still those requests are pending. Canceling them individually could be a slightly tedious task, but with some of below tricks, you do it at once. Just remember if you add many friends continuously, Facebook may ban your account temporarily or permanently. Just go to Facebook.com, Login with your details. Just close the page, again go to same page after some time, and repeat the process. Firstly Log on to your FB account before proceeding any of below methods. Go to User Activity Log. The activity log is separately available on top of the FB page as well. Expand the left side pane by clicking “More”. Click on Friends > All incoming and outgoing requests will be displayed in chronological order. Hover on the tab available in front of person's profile and select the cancel request option. 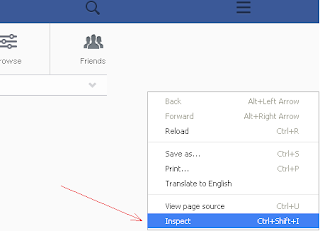 Go to Account Setting by clicking Gear icon at the top right of your FB page. In General account setting, click "Download a copy of your Facebook data"
For big file size, FB will display a message as Start My Archive. Click it and FB will confirm an email sent for the downloading archive file. After confirming an email click link inside to get download copy. FB will also ask your password to proceed, just confirm it once. Unzip the file if it is in zip format. There will be three folders and one .htm file. Open HTML folder and double click on friends (it is .htm file). It will be opened in a browser. Just go to pending friends requests and all friends requests, removed friends and subscribers will be displayed on the page. Simply cancel all the pending requests. It will display all pending request list. You can individually cancel all pending requests. 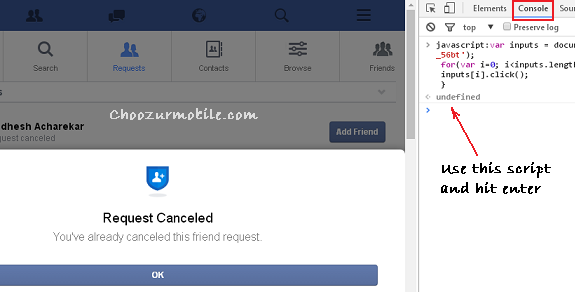 If you know the exact friend's name of whom you want to cancel request, just search him with a search box on FB home page and go onto his/her profile. 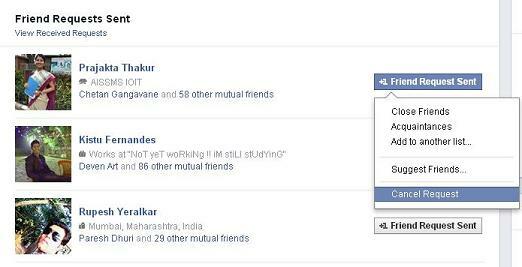 Browse to person's timeline and hover over the friend request sent button and confirm the cancel request button. Depending on the number of pending requests, you may find one of the methods above best suitable as per your need. Recently Facebook has blocked a "cancel pending friend requests" app on FB. There are also some Ad-Ons available for Chrome and Firefox browsers. You can search for them on their add-on pages. Just to note that if your account has a large number of pending requests, consider your account is not in a healthy state and you immediately need to cancel them.